Celebrity Cruises said it is assisting 94 guests from Celebrity Summit who were riding in a tender when it grounded at Bar Harbor, Maine, on Oct. 4. 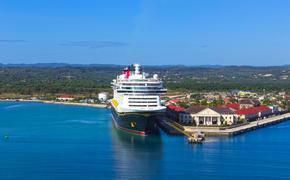 Two guests were treated in the ship’s medical center for “minor injuries,” the line said. Two other boats helped the guests return to the ship. The Care Team is providing support and assistance to guests involved in the incident. Celebrity Summit is sailing a 14-night cruise that departed Bayonne, N.J., on Sept. 22, with port calls to Portland, Maine; Halifax, Nova Scotia; Charlottetown; Prince Edward Island; Quebec City, Quebec; Gaspe, Canada; and Bar Harbor, Maine.